We thought it would be useful to print some of the questions we get from readers on this Pacific Coast Highway FAQ page, to share the information and the driving advice and help – and it's mostly some aspect of driving the PCH that people want to know about. If you don't find the answer to your own question here, then you might find it on our main Drive the Pacific Coast Highway page. If you don't find the answer anywhere, then to ask a question about driving the Pacific Coast Highway go to our Contact Us page, but do read first what we can and cannot answer questions about. So here are some of the Pacific Coast Highway FAQs that we hope visitors to the website find useful. If you want to add anything, to agree or disagree or to elaborate, just use the Contact Form and we'll try to add your comments here. Q: Will be traveling from Yosemite to San Francisco on April 5th, and was planning to stay in San Fran on April 5th, as I want to avoid missing anything on the drive to LA. Do you think this is a sensible option, and where would you suggest we start our drive from in San Fran to make the most of the journey? We will be stopping in Monterey and Pismo Beach area for 1 night, before stopping in Santa Monica for 3 nights. Any advice/tips would be appreciated. (Travelling with my wife and 2 children, aged 11 and 14). I don't blame you for wanting to make the most of it. If I were you I'd try to start your drive where Highway 1 branches off from 280, just north of Pacifica. We drove up that way in March/April, and it's a really nice coastal drive - even though it did rain while we were doing it. It's only a short drive to Monterey, which is a great place to stay overnight - might be worth getting there early anyway, so you can go in and see the Aquarium, which we loved. Or see it the next morning before setting off. You'd have time to do that if you only went as far as Pismo Beach - though do allow lots of time to stop off when you drive Big Sur, south of Monterey, which is the most spectacular part of the coast. It's where we took these photos of each other. We only drove through Pismo Beach but we thought it looked a really fun place to stay, and we'd try to do that next time we make the drive. Hope that helps you some. Just ask if there's anything else, but it sounds like you're well in hand with the planning. Q: Hi, I've a question about the Pacific Coast Highway. I'm an English guy travelling in California this summer with some friends. We'll be driving from San Francisco to San Diego. Could you advise on which part of the road here is considered to be the most picturesque? We can't drive all of it due to time constraints and will need to use the Highway at some point. A: The most spectacular part of the Pacific Coast Highway drive is definitely the Big Sur stretch. It's a classic part of the road. But if you want to drive the PCH, you may as well stick to the coast road the whole way. If you get to the southern end of the Big Sur stretch and then try to cut across to I-5, you'll spend longer getting to I-5 than you'll save in driving time when you get to it. It's quicker to stick to the coast the whole way. Q: I am trying to drive from LA airport (LAX) to San Francisco airport (SFO). Can you please tell me where can I get the driving route map via PCH. When I tried in most of the map websites, all of them are showing through I-5 only. A: Hi there. For that kind of thing I usually use Google maps, which will want to send you along I-5 at first but you just drag and drop the route to the coast. All you really need is the LA bit of the map, because once you get to Santa Monica you can just stick to the coast for most of the way and it would be very hard to get back onto I-5. The route is pretty obvious and well signposted. Then you'd need a more detailed map for San Francisco, of course. Let me know if I can help any more. 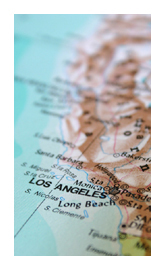 Q: My partner and I are coming to visit relatives in LA in October and had hoped to drive the PCH to San Francisco. However, I've been told this is a mountainous route with narrow roads. 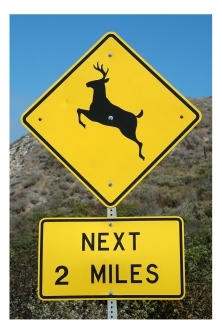 I have a phobia since finding myself unexpectedly driving through mountains several years ago - a truly horrible experience which lasted several hours! Would you please advise if this route is one we should be considering or not, is there perhaps another route we could take to SF? I would be very grateful for your advice. A: Thanks for the email. You needn't have any worries at all, in my view. For half the route at least you're driving at or nearly at sea level, sticking more or less to the coast. The most dramatic stretch is Big Sur, where it goes inland for part of the way and there are a few of the zig-zagging kinds of roads that you get in the mountains. But I can't recall any stretches where you could say that the roads were narrow, and there are some beautiful bits in the forest – a nice change from the different beauty of the coast. It's all subjective, of course. I live half the year in England and to me a narrow road is the kind of country lane where only one car can fit at a time, so if you meet someone coming the other way, one of you has to back up. There is nothing like that anywhere along the PCH, which is a busy and much-driven highway for most of its length. I certainly wouldn't let the worry of this short stretch of the road - which is stunningly beautiful - put you off doing one of the most fantastic drives in the USA. If you want to get an idea of what you'd be in for, go to YouTube and search for videos for 'Pacific Coast Highway drive'. There are several available and they're sure to make you want to go! I hope that helps - feel free to ask more, if you need to. 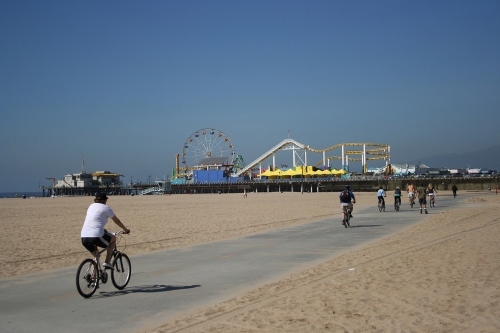 Q: Is any public transportation available to travel PCH? Greyhound only hits Crescent City, Santa Cruz, Oxnard - but does not travel PCH. A: Unfortunately public transport isn't good along the PCH. There is an Amtrak service too but like the Greyhound, stops are limited, though at least the Amtrak line travels close to the coast in many places. The best way to experience the Pacific Coast Highway is still by car or on a bike (Harley-type bike or pedal-power). 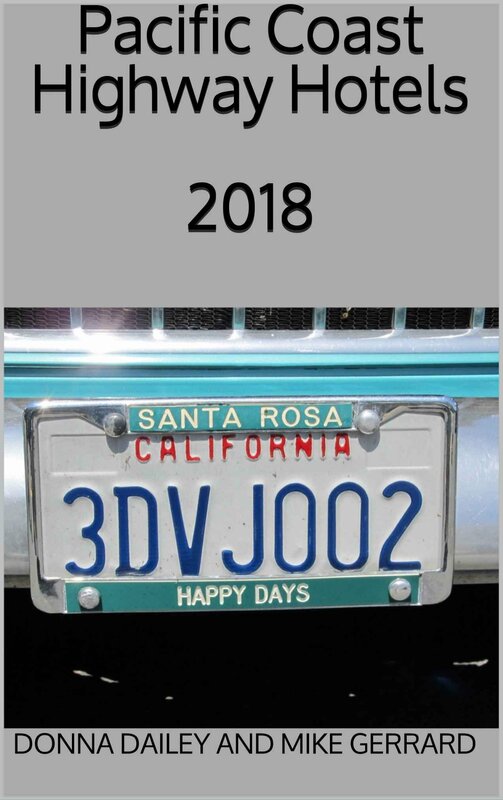 Q: I have decided to take my 17 year old son on a guy trip to drive part of the pacific coast highway, I have never been to the west coast and we are only going to spend 3 nights in the area. Would you recommend flying into San Diego and driving north, or flying into San Francisco and driving south? I thought we would just fly out to the coast, rent a car and play it by ear, do you think that would be o.k. as far as lodging, etc... I would appreciate any advice you could give me. A: Thanks for the email. Sounds like a good idea for a trip. I would drive north to south, for no other reason than you're on the right side of the road to get the best views, and it's also a lot easier to pull off into the scenic viewpoints. It's only a small thing but if you have a choice, do it in that direction. If you can possibly squeeze an extra day or two into the trip, do it. Three days is the minimum I would give it, though you can still do it in that time and enjoy it. As for accommodation, there is a lot and personally I wouldn't be worried about driving it any time of year without pre-booking. I'd think about aiming to be somewhere near Monterey or Carmel on the first night, Cambria/Morro Bay on the 2nd night and Santa Barbara on the 3rd night - depending on flight times, of course. Allow lots of time for getting through LA. 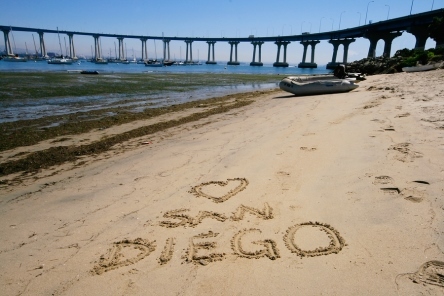 In fact you might want to stay in San Diego itself on the last night, it's a really enjoyable city. If you've only got 2 nights and 3 days, I'd visit Monterey first night, and then aim to get to Santa Barbara for the 2nd night. I hope that helps, and if I can be of further help, just ask. Q: Hello, I have 3 teenage boys we would like to drive from San Francisco to LA by coast, we have to go early July, is weather an issue (fog etc. ), we plan on taking in some ball games and coastal sites. A: Thanks for the email. Sounds like a good trip you're planning. Unfortunately fog can be an issue in the summer around the San Francisco area, but I wouldn't let it stop you doing it. You may be fine, it's just a matter of luck. And some days start off foggy but then it burns off by the afternoon and can be wonderful. But I would have some Plan Bs at the back of your mind, as to what to do if it's bad - like head for Santa Cruz, where there are lots of funfairs and amusement arcades, if your boys are into that, and spend a day at the Monterey Bay Aquarium, which is amazing. Or give up on the coast and do the faster inland route and get to LA sooner and hang out there a bit more. Just have these options at the back of your mind so you don't get caught out. I hope that helps a bit. Have a great trip whatever you do. Q: We will spend 3 days in San Fran, 3 days to drive to Santa Monica, any suggestions where we should stay (towns). A: That sounds a good plan. So many people write to us who plan to drive from San Francisco to LA in one day and want advice. The best advice is - take longer! My suggestion would be to spend the first night in or near Monterey. 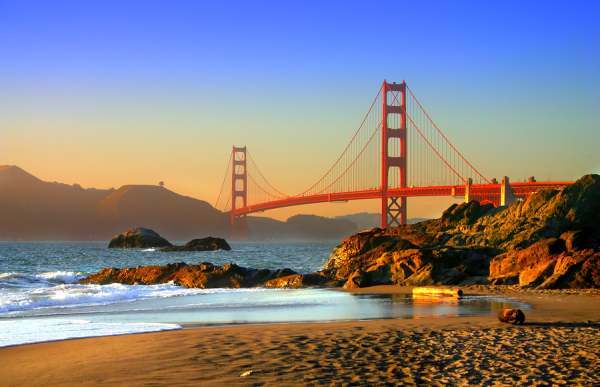 It's only a couple of hours from SF so that gives you plenty of time to find somewhere to stay and get into town and maybe visit the aquarium, and Fisherman's wharf. I'm a big John Steinbeck fan so I enjoyed Cannery Row even though it's now very touristy. Next night I'd stay in Cambria or Morro Bay, both small places but really enjoyable. Choose Cambria if you want to visit Hearst Castle (which is quite stunning) and if you're into wildlife don't miss the elephant seals at the beach just north of Hearst Castle. Morro bay is great for wildlife too. The bit from Monterey to Cambria includes the Big Sur drive, which is probably the most spectacular bit of the coast so allow yourself time to stop and take photos and enjoy the views. If you're having a 3rd night on the road then definitely Santa Barbara, but if you're planning only 2 nights and 3 days then from the Cambria area it's still only about a 4-hour drive to Santa Monica, so you can do it comfortably. I hope that helps - everyone's different in what they enjoy, of course, but we liked all those places. Q: I read on your website that the direction you should travel on the Pacific Coast Highway is really an individual choice. However, as we are having to visit during one of the months you suggest to avoid (August) - I would ask whether or not you would still say either direction is fine. I made our reservations flying into San Diego and then thought OOPS! We should be driving South so that the car is on the coast or outside of the highway. Does this make sense - should I change our reservations? A: Absolutely not. It probably is a nicer drive heading south, as you're a little bit closer to the coast and it's easier to pull into and out of the viewpoints, but it's not that big a deal that it's worth changing your reservations for. It's one of the most fantastic drives in the USA, whichever direction you go. I'd be more concerned in August with making sure you have your accommodation pre-booked. It can be busy. Q: I will be driving from San Francisco to LA along the PCH in a 31 foot RV. Will I struggle with the bends in the road etc? (not driven an RV before, and there are only the big ones left!) And are we missing out not starting higher up than San Francisco? A: I've not driven the road in anything other than a car, but I wouldn't have thought there would be any problems at all even in a sizable RV. There are plenty of pulling-off points if you occasionally need to let cars get past. I definitely think you're missing something by not going further north, as when we did the trip in the spring we loved it more the further north we got - but that's just that we had a week or two of southern California, and then it gets more natural and rugged the further north you go. But the most beautiful bit of all is still the Big Sur stretch south of SF anyway. BUT! The bit along the coast immediately north of SF might well be tricky in an RV. We seriously underestimated how long it would take us to do that coastal bit, as the road there is very slow indeed and we were very late getting to our hotel that night. Depends how much time you've got too, of course. There's plenty to do between SF and LA, so taking it slow is also going to be a good option. Q: We have two days to drive from San Franciso to San Luis Obispo. It appears that splitting it into SF-Monterey and Monterey-SLO makes logical sense. However, are these approximately equal drive times? Thanks! A: Thanks for the email. I'm glad you're doing the drive, it is wonderful, and those driving distances should be as even as makes no difference. According to Google Maps, which I use a lot and find to be very accurate, going along the coast from San Francisco to Monterey takes about 2 hours 40 minutes. From Monterey to San Luis Obispo by the coastal route is about 3 hours 25 minutes. 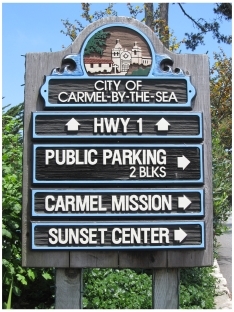 You could push on a little to get to Carmel, but in driving terms it makes hardly any difference. Beyond Carmel and Monterey you're going to have far fewer places to stop. I'd say Monterey is the better stop for choice of places to stay and things to do when you get there, depending what your interests are. I hope that helps. If I can answer any other questions, let me know. Have a great PCH trip. Q: We are considering a trip on the Pacific Coast Highway for 3-4 weeks in June and will have a 3-year-old son and 6-month-old daughter. Do you have any suggestions for resources (e.g. books, tourist information contacts, websites, etc.) which cover the activities/areas of interest for children along the route? A: Thanks for the email. That's a good, long time to allow for a trip, to make sure you enjoy it, and June will be a terrific time to go. I've not come across any books that deal specifically with activities for children along the route - though there's certainly plenty to keep kids entertained. One website I know of, which I link to somewhere else on our own website, is Family Vacation Getaways. Despite the URL it deals with much more than just Los Angeles theme parks. It started out like that but grew and grew. I know they'll help you out with advice if you can't find what you want and send them any questions. Otherwise the best thing you can do is contact the CVBs of the places you plan to stay along the way, and see if they have any publications. Or just check their websites first, as you may be able to order brochures online. 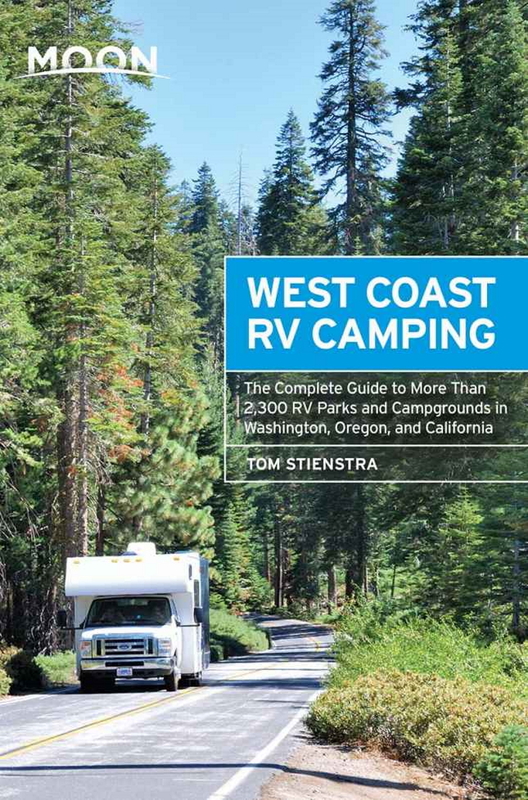 You should find links to most of them here on our Places along the Pacific Coast Highway page. I hope that helps - and I envy you your trip.